Denver-based Dixie Brands began trading Thursday on the Canadian Securities Exchange, joining a rapidly growing list of U.S.-based marijuana firms that have looked north of the border to raise capital to grow and compete. Shares of Dixie – trading under the ticker symbol DIXI.U – opened at 1.05 Canadian dollars (79 cents). The move follows the edibles maker’s reverse takeover (RTO) of a Canadian public company, Academy Explorations – a shell firm listed on the CSE. The move also follows a $25 million funding round that closed in October, ahead of Dixie’s plans to go public. Dixie has operations in California, Colorado, Maryland and Nevada as well as international distribution partners in Australia and Canada. The company has said it’s eyeing expansion into six more U.S. states in 2019. 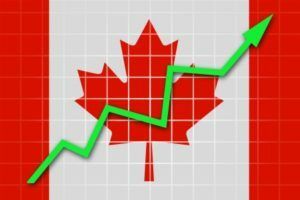 Among the growing number of U.S. cannabis firms that have recently tapped Canadian public markets are New York-based Acreage Holdings, Colorado’s MJardin and Arizona-based Harvest Health & Recreation, which joined nearly 50 U.S. cannabis operators that have listed their shares on the CSE this year, according to data from the exchange. The majority of those have come about through reverse takeovers – a maneuver in which a company acquires a publicly traded shell company to obtain a listing, rather than pursue a traditional initial public offering.